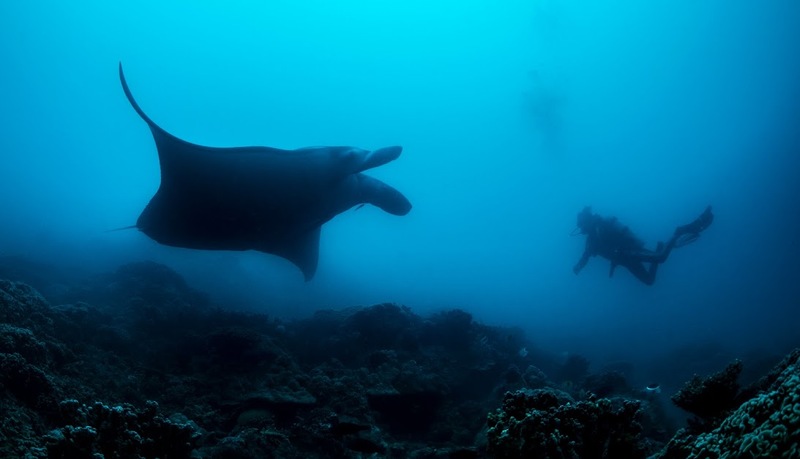 The Manta ray (Manta birostris) is an imposing cartilaginous fish. 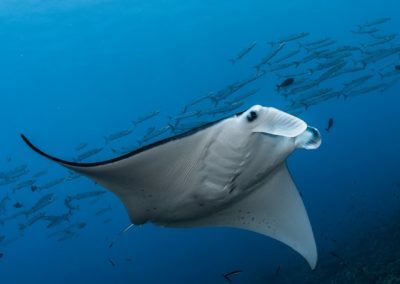 It is named Manta ray because of the spanish word “manta” which means –blanket- in relation to its strange shape. 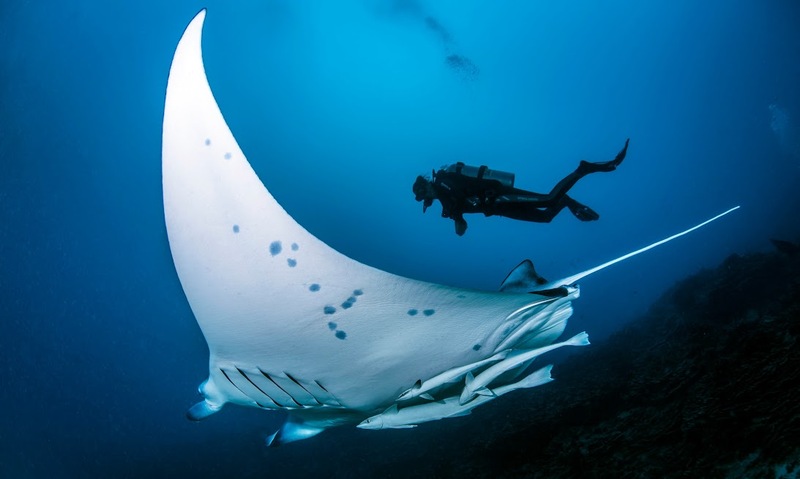 The manta ray measures around 20 ft and 2200 lbs. Blue and white, the manta ray is diamond-shaped. This “diamond” is generally twice as wide as it is long. 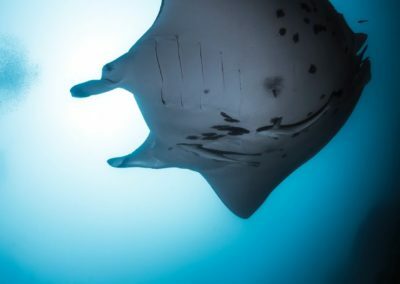 The Manta ray is characterized by a flat head, a short thornless tail (unlike the smaller rays species) and five pairs of gills. It is sometimes called the « devilfish » due to its two cephalic horns. This animal owns a toothless upper jaw and a bushy lower jaw. This funny jaw is probably just a trace of its evolution. The Manta birostris can be observed in the Atlantic, Pacific and Indian oceans. 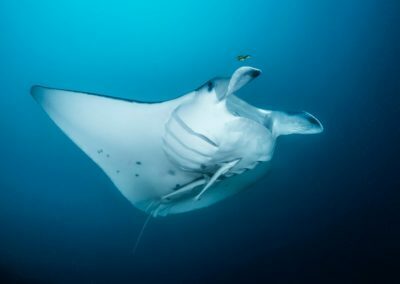 Like other giants of the sea, the manta ray feeds on the smallest aquatic creatures like small fish, plankton, urchins and worms. Its hunting strategy consists of dredging the sandy bottom with its horns and waiting for fish with mouth open. Prawns, urchins and plankton …rarely get away from this trap. 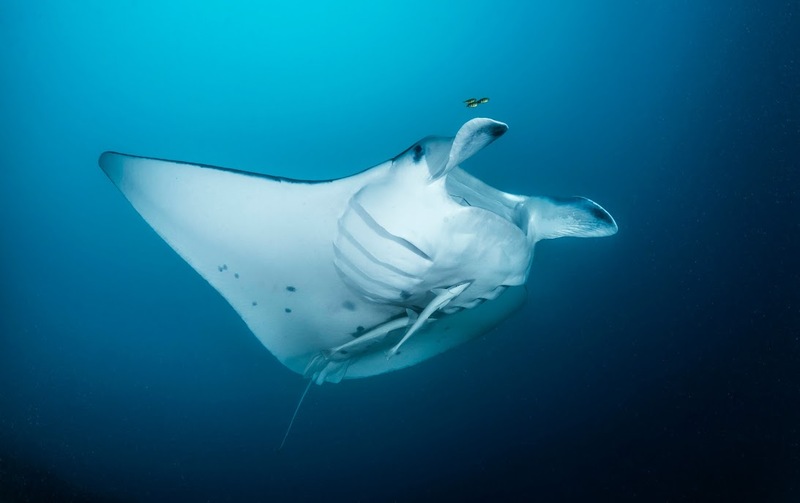 The manta ray can live up to 20 years and becomes sexually mature at 5 years. Its mating is done after a bridal dance performed by the male. 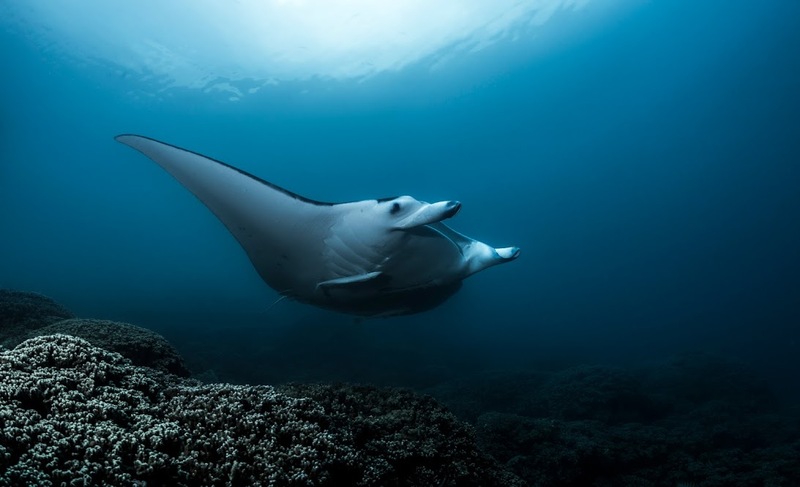 The manta ray will give the life to one or two little offspring after 13 months of gestation. Each little measures 4ft and 110lbs and will double in size in one year. 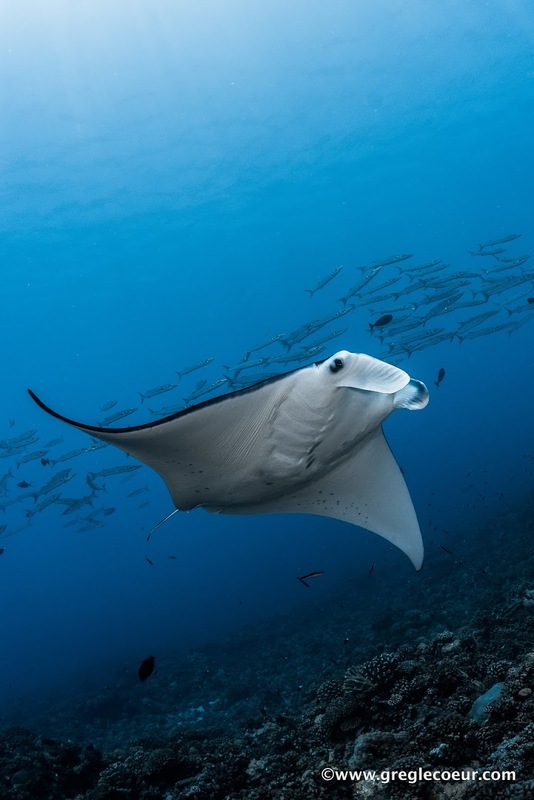 The manta ray has earned respect under the sea and oddly enough, in the air. 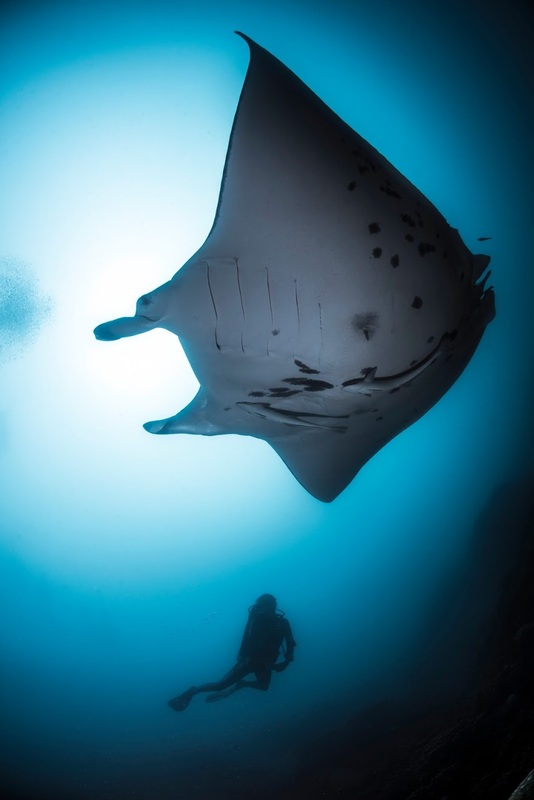 Unlikely as it may seem, manta rays have been known to jump and glide for a few seconds out of the water. Scientists have been trying to find explanations to this incredible jumping naturethat can reach 10ft in height. 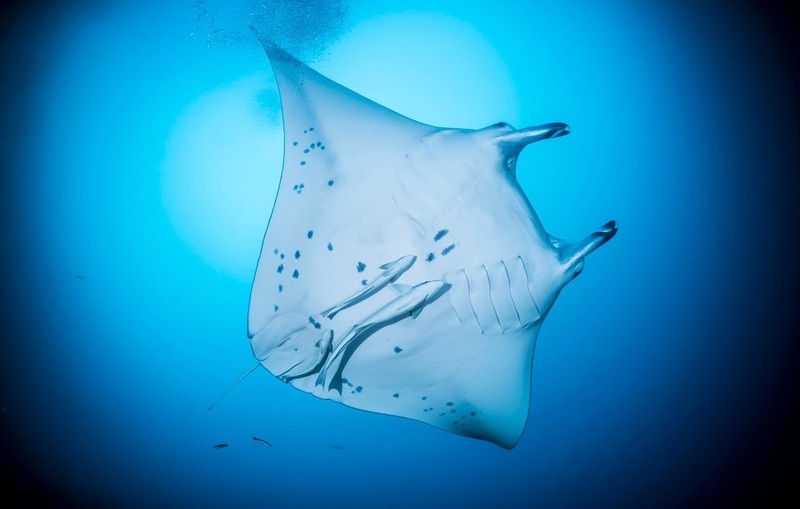 Some explain that the jump helps the manta ray to give birth. Others think it makes up the mating dance of the male wanting to impress female. This proves to be, nonetheless, a very impressive show! 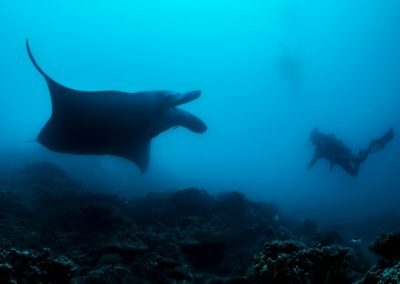 The manta ray has been and remains an enigma: Old legends say that the “devilfish” could sink fishing boats. Polynesians relate that it used to drown fishermen in apnea by recovering them and preventing them to regain the surface. 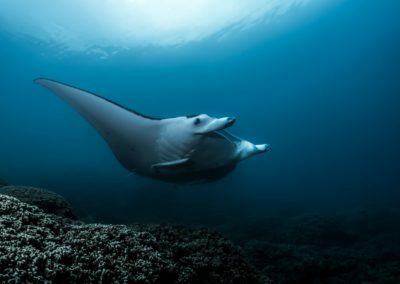 Inspite of these myths and legends, the manta ray is completely inoffensive and one of the gentlest creatures of the sea. Consider yourself lucky to come across them during your dives in Polynesia.